The only thing cuter than these mother-daughter moments is knowing how excited Sasha's daughter, Mia, was this whole shoot because she got to wear a dress that "looks like mommy's dress." How sweet is that!? 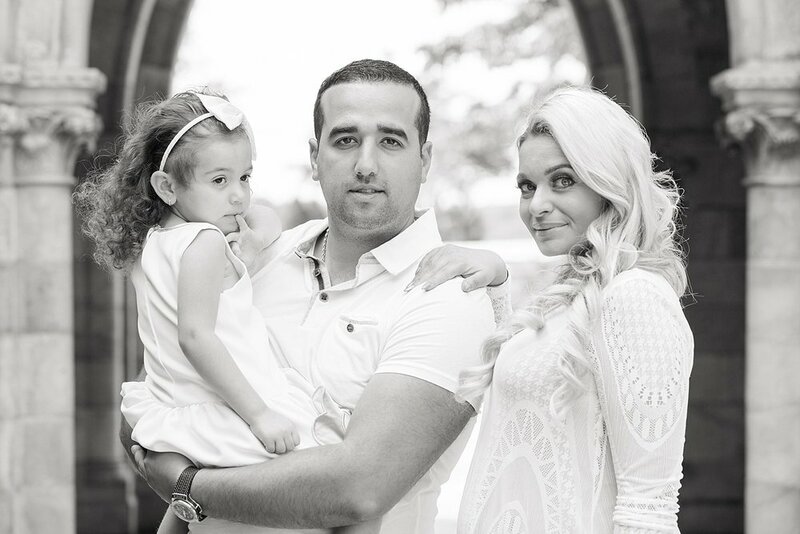 I had so much fun photographing Sasha, Tolik, and their absolutely adorable daughter Mia a few weeks ago. Mia even helped me take some of these photos (gotta give photo credit)! I know Tolik and Sasha are going to make great parents because, well, they already are great parents. Seeing them interact with their daughter showed how caring, attentive, and nurturing they are going to be to their future baby as well. I hope these photos will forever remind them of the beautiful memories they made together as a family. Wishing this growing family all of the very best!